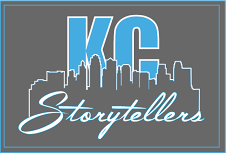 Students involved in or curious about programs like Louder than a Bomb, KC Storytellers, Scholastic Writing Awards are encouraged to attend. All camps offer supportive writing communities, quality feedback and publishing avenues. Write and share stories to break down divisive barriers, like race, that divide us. Publish your work in a digital platform. Engage with feedback from your audience. Learn pro tips. Perform at Open Mic event. Engage our community. Change our world! Registration for 2018 Camps is closed.